Looking for an easy way to share your notes? Are you looking to help a friend by sending them the maths lesson they missed? Do you need to share your notes with an absent colleague after an important meeting? Are you looking to instantaneously share a few words or a drawing on social media, by email or by text message? 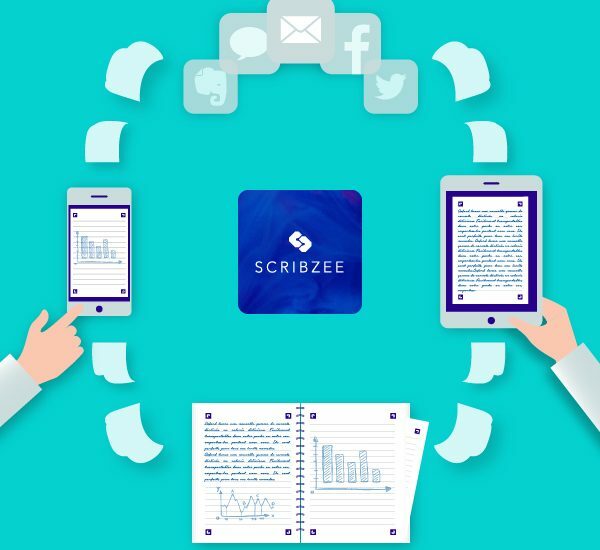 Nothing could be easier with SCRIBZEE®! Find and view your note in , then select it. To send your notes page by page as an image (.jpg), select “share a page . Then all you need to do is to choose how you want to share it from the list of options on your smartphone: email, social media, Dropbox, One Drive, text message, etc. Previous Post:How to file your notes? Next Post:How can I edit a note?